Senior allies of Jeremy Corbyn are debating whether to give Labour members a greater say in picking candidates after the new party chair raised the prospect of de-selections. 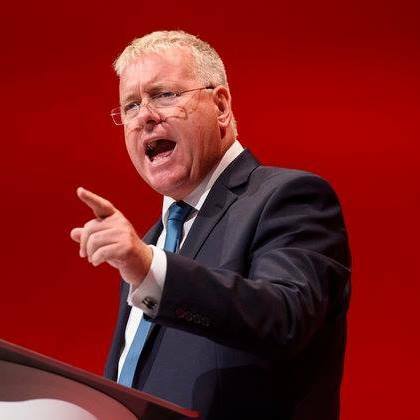 Ian Lavery sparked controversy on Friday when he said Labour had become “too broad a church” and that MPs had to “work very hard” to stay in post. Yesterday shadow justice secretary Richard Burgon said he wanted members to “have more say in our party’s policies and in the way the party’s run” but distanced himself from Lavery’s comments on the make-up of the party’s support. “I think the Labour Party should be a broad church of socialists, social democrats and trades unionists and long may it continue to be so … I think the Labour Party’s a broad church and it should be,” he told the BBC’s Sunday Politics. Burgon appeared to sidestep a question on the “McDonnell amendment”, the proposal to cut the threshold for MPs to win a place on the ballot paper in any future leadership contest, which is supported by some left-wing activists. He said the issue “doesn’t seem as topical as it used to be” because Corbyn is now secure in post, following Labour’s gains at the election. “Tom Watson, the deputy leader has said that Jeremy Corbyn is secure for many years. But I do believe that all parties, including the Labour Party, need to be made more democratic. We’ve got a membership of well over half a million and I would like the members to have more say in our party’s policies and in the way the party’s run,” he added. Lavery, who was promoted to party chair after Labour’s surprise strong showing in the general election — for which he was joint campaign co-ordinator — is a key supporter of Corbyn. His comments, in an interview with the Huffington Post, come after 18 months of controversy in the party in which Corbyn sent seemingly contrasting messages on the prospects of de-selection, saying in October 2015 he wanted to make it “crystal clear” he did not support moves to axe sitting MPs but then, following his second leadership win in September last year, appeared to leave the door open to the move when he said he wanted to “strengthen democracy” in the party.